These are the results of the latest poll conducted by the Palestinian Center for Policy and Survey Research (PSR) in the West Bank and the Gaza Strip between 8 and 11 March 2017. Internally, the period before the poll witnessed the setting of a May 2017 date for holding local elections and Hamas announced its intentions to boycott them. A novel by a Palestinian writer was banned by the PA and the license for the Palestinian Telecommunication Company was renewed without opening the market to competition. The Israeli government announced big plans for more settlement construction and the Palestinian president threatened to suspend security coordination in response to these announcements. Internationally, the Trump Administration took office in January. This press release addresses these issues and covers other matters such as Palestinian elections, general conditions in the Palestinian territories, and reconciliation. It also covers the peace process and the 50th anniversary of the Israeli occupation of the West Bank and the Gaza Strip. Total size of the sample is 1270 adults interviewed face to face in 127 randomly selected locations. Margin of error is 3%. Findings of the first quarter of 2017 show a high level of dissatisfaction with the performance of President Abbas; in fact, two-thirds demand his resignation. Nonetheless, if new presidential elections take place today, he would receive the same level of support as that of Ismail Haniyeh, Hamas’ candidate. Findings also show a decline in the level of support for Fatah compared to our findings three months ago when Fatah’s popularity rose a little in light of its successful holding of its 7th Convention. On other domestic issues, the public is divided into two halves regarding the banning of a Palestinian novel which the PA claims to contain indecent language. Two-thirds disagree with the renewal of the license of the Palestinian Telecommunication Company (PALTEL) without the opening of the market to competition. We also found that a little over one fifth of the public goes to private, rather than governmental, hospitals because they think that the chances for a medical error in such hospitals are lower. A large minority indicates that they personally or a member of their family and friends had an experience involving a medical error. On the 50th anniversary of the Israeli occupation of the West Bank and the Gaza Strip, more than half of the public is optimistic about its end soon or within the next five to ten years; but one third believes that it will last another 50 years. The public places the blame for the continuation of the occupation equally on its leadership and on the Palestinian factions and political parties, but it also places the responsibility on itself. A majority thinks the standing of Palestine today is worse than it was fifty years ago and also worse than it was ten years ago. But despite the belief of the public that most Arab and European countries do not stand with the Palestinian people, an overwhelming majority believes that God stands with the Palestinians. Findings show a slight increase in the level of support for the two-state solution compared to our findings three months ago, but it is still just below the 50% mark. Strong correlation exists between the belief in the viability of the two-state solution and its support: the more viable the solution, the higher the support. Today, most Palestinians believe that the two-state solution is no longer viable due to settlement construction. Still, most Palestinians have not shifted to supporting the one-state solution; two-thirds continue to oppose it. The overwhelming majority of the public is dissatisfied with the response of the Palestinian leadership to the new Israeli plans for settlement construction. In this context, a similarly large majority believes that Abbas is not serious about suspending security coordination with Israel. Abbas announced that if settlement construction continues, he would be forced to suspend security coordination. The public believes that the most suitable response to the new Israeli settlement plans should be the suspending of security coordination and the formal submission of a complaint against Israel to the International Criminal Court. Two thirds believe that most of the Arab counties do not stand with the Palestinian people, but 94% believe that God stands with them. 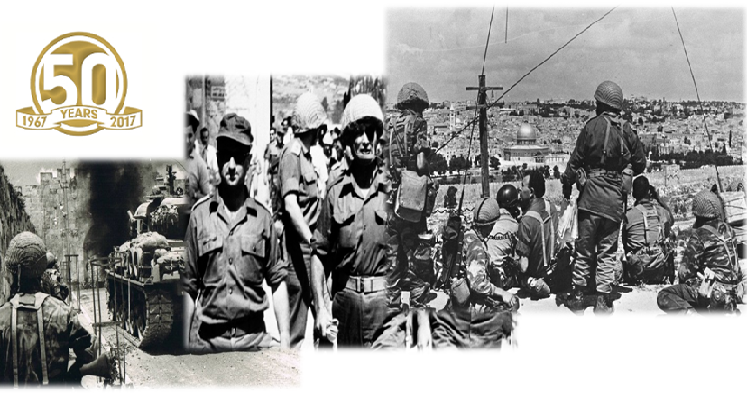 On the 50th anniversary of the Israeli occupation of the West Bank and the Gaza Strip, the public is divided on the future directions: 32% believe the occupation will last for another 50 years, 24% believe it will end soon, and 29% believe it will end after five to ten years or more. The belief that the occupation will end soon or within five to ten years is greater in the Gaza Strip (66%) compared to the West Bank (45%), among supporters of Hamas and third parties (66% and 65% respectively) compared to supporters of Fatah (49%), among residents of refugee camps and cities (57% and 55% respectively) compared to residents of villages and towns (39%), among the religious (59%) compared to the somewhat religious (47%), among those who are opposed to the peace process (67%) compared to the supporters of the peace process (45%), among refugees (59%) compared to non-refugees (48%), among holders of BA degree (55%) compared to the illiterates (46%), among farmers, students, and employees (68%, 61%, and 56% respectively) compared to the retired and laborers (43% and 46% respectively). We asked the public to assess the strength of the role played by four different Palestinian actors in the struggle to end the Israeli occupation: (1) the Palestinian leadership, (2) most political parties and factions, (3) most of the public, and (4) the respondent himself or herself. Respondents were given three options to choose from: do their best, inadequate, and negligent role. Only 25% said the leadership is doing its best; 41% said its role is inadequate; and 32% said it is negligent. Similarly, 26% said most factions are doing their best; 49% said their role in inadequate; and 23% said they are negligent. On the other hand, 39% said the public is doing its best; 44% said its role is inadequate; and 16% said it is negligent. Finally, 29% assessed their own personal role as doing their best; 40% as inadequate; and 28% said they are negligent. The belief that the leadership is doing all it can is higher in the Gaza Strip (33%) compared to the West Bank (20%), among supporters of Fatah (42%) compared to supporters of Hamas and third parties (17% and 28% respectively), in refugee camps (43%) compared to villages and cities (20% and 24% respectively), among supporters of the peace process (32%) compared to those who are opposed to the peace process (17%), among the illiterates (32%) compared to holders of BA degree (27%), and among the public sector employees (30%) compared to those employed in the private sector (23%). The belief that the respondent himself or herself is doing all he or she can do is also higher in the Gaza Strip (38%) compared to the West Bank (23%), among men (31%) compared to women (26%), among the religious (33%) compared to the unreligious and the somewhat religious (22% and 25% respectively), among those who are opposed to the peace process (32%) compared to the supporters of the peace process (28%), among the refugees (31%) compared to the non-refugees (27%), among holders of BA degree (33%) compared to the illiterates (28%), among employees (38%) compared to students (26%), and among those employed in the public sector (40%) compared to private sector employees (32%). 44% of the public believe that the standing of Palestine today is worse than it was 50 years ago. By contrast, 39% believe it is better than it was 50 years ago. Moreover, 43% believe that the place or standing of Palestine today is worse than it was 10 years ago and 36% believe it is better than it was 10 years ago. The belief that the standing of Palestine today is worse than it was 50 years ago is higher in the Gaza Strip (52%) compared to the West Bank (40%), among supporters of third parties and Hamas (47% and 41% respectively) compared to supporters of Fatah (37%), among residents of cities and refugee camps (48% and 40% respectively) compared to residents of villages and towns (34%), among those who are opposed to the peace process (53%) compared to supporters of the peace process (40%), and among refugees (46%) compared to non-refugees (43%). A large majority (72%) believes that the Netanyahu government does not take into consideration or attach importance to Palestinian reaction to its policies or actions while 26% believe it does take into consideration Palestinian reaction. Moreover, two thirds (65%) of the public believe that most Arab counties do not stand often enough with the Palestinian people. A similar majority (66%) believes that most European countries do not stand most of the time with the Palestinian people. But 51% believe that most of the Muslim countries do stand most of the time with the Palestinian people and 56% believe that most of the peoples of the world do stand most of the time with the Palestinians. On the other hand, an overwhelming majority of 94% believes that God stands with the Palestinian people. Although this figure reflects a consensus, it is worth noting few differences that seem to reflect level of religiosity and political affiliation: while 97% of the religious believe that God stand with the Palestinians, the percentage drops slightly to 94% among the somewhat religious and 77% among the unreligious; similarly, it rises among supporters of Hamas, reaching 99% and drops slightly to 94% among Fatah supporters and 85% among supporters of third parties. 64% of the public want president Abbas to resign while 31% want him to remain in office. Three months ago, 64% said they want Abbas to resign. Demand for Abbas’ resignation stands at 61% in the West Bank and 70% in the Gaza Strip. If president Abbas does not nominate himself in a new election, 33% prefer to see Marwan Barghouti replacing him, while 20% prefer Ismail Haniyeh; Mohammad Dahlan 7%; Khalid Mishal, Rami al Hamdallah and Mustapha Barghouti (5% each); Salam Fayyad 3%, and Saeb Erekat 2%. Level of satisfaction with the performance of president Abbas stands at 36% and dissatisfaction at 61%. Level of satisfaction with Abbas stands at 41% in the West Bank and 29% in the Gaza Strip. If new presidential elections were held today and only two were nominated, Ismail Haniyeh and Mahmoud Abbas, the former would receive 47% (compared to 49% three months ago) and the latter 47% (compared to 45% three months ago). In the Gaza Strip, Abbas receives 46% of the vote (compared to 45% three months ago) and Haniyeh receives 50% (compared to 51% three months ago). In the West Bank Abbas receives 47% (compared to 45% three months ago) and Haniyeh 45% (compared to 47% three months ago). If presidential elections were between three: Mahmud Abbas, Marwan Barghouti and Ismail Haniyeh, Abbas would receive 26%, Barghouti 40% and Haniyeh 33%. If presidential elections were between two: Marwan Barghouti and Ismail Haniyeh, Barghouti receives 59% and Haniyeh 36%. If new legislative elections were held today with the participation of all factions, 69% say they would participate in such elections. Of those who would participate, 30% say they would vote for Hamas and 36% say they would vote for Fatah, 11% would vote for all other third parties combined, and 22% are undecided. Three months ago, vote for Hamas stood at 32% and Fatah at 41%. Vote for Hamas in the Gaza Strip stands today at 34% (compared to 38% three months ago) and for Fatah at 37% (compared to 40% three months ago). In the West Bank, vote for Hamas stands at 28% (compared to 29% three months ago) and Fatah at 36% (compared to 41% three months ago). Only 45% (46% in the West Bank and 44% in the Gaza Strip) say they will participate in the local elections which are scheduled to take place in May. 35% say they will not participate and 15% are not sure. 35% believe that the holding of local elections in May will serve the interests of reconciliation while 22% believe it will not serve it and 34% believe it will have no impact on it. About half (49%) of the public believes that Hamas is making a mistake in its decision to boycott local elections while 31% believe it is not making a mistake. The belief that Hamas is right in boycotting the local elections is higher in the Gaza Strip (38%) compared to the West Bank (28%), in refugee camps and cities (35% and 32% respectively) compared to villages and towns (27%), among women (33%) compared to men (30%), among the religious (39%) compared to the somewhat religious and the unreligious (26% and 19% respectively), among those who are opposed to the peace process (47%) compared to supporters of the peace process (23%), among holders of BA degree (34%) compared to illiterates (7%), among those employed in the private sector (35%) compared to those employed in the public sector (27%), and among supporters of Hamas (62%) compared to supporters of Fatah and third parties (16% and 31% respectively). Positive evaluation of conditions in the Gaza Strip stands at 11% and positive evaluation of conditions in the West Bank stands at 25%. Moreover, perception of safety and security in the Gaza Strip stands at 38%. In the West Bank perception of safety and security stands at 50%. Three months ago, perception of safety and security in the Gaza Strip stood at 47% and in the West Bank at 56%. Findings show that the percentage of Gazans who say they seek to migrate to other countries stands at 46%; in the West Bank, the percentage stands at 23%. Three months ago 46% of Gazans and 24% of West Bankers said they seek to emigrate. In the West Bank, the largest percentage (44%) places responsibility for the electricity crisis in the Gaza Strip on Israel, 18% place it on the PA and president Abbas; only 13% place it on Hamas’ shoulders. By contrast, Gazans place the responsibility for the crisis on the PA and Hamas equally (31% on the PA and 30% on Hamas); only 20% place it on Israel. We asked the public about its viewership habits in the last two months. Findings indicate that Maan TV viewership is the highest, standing at 16%, followed by al Jazeera TV (at 15%), Palestine TV (at 14%), al Aqsa TV (at 13%), Filasteen al Youm (Palestine Today) at 12 %, Al Arabiya at 7%, and al Quds TV and al Mayadeen at 4% each. Perception of corruption in PA institutions stands at 77%. Only 38% of the Palestinian public say people in the West Bank can criticize the PA without fear. 47% view the Palestinian Authority as a burden on the Palestinians while 48% view it as an asset. The public is almost evenly divided concerning the banning by the PA of a Palestinian novel charging that it contains indecent language: 46% approve the ban and 44% do not. Disapproval of the ban is higher in the Gaza Strip (46%) compared to the West Bank (43%), among supporters of third parties (62%) compared to supporters of Fatah and Hamas (41% and 47% respectively), among residents of refugee camps (61%) compared to residents of villages and cities (41% and 42% respectively), among women (46%) compared to men (42%), among those whose age is between 18 and 22 (55%) compared to those whose age is 50 and above (39%), among those who are opposed to the peace process (49%) compared to supporters of the peace process (42%), among refugees (47%) compared to non-refugees (42%), among holders of BA degree (44%) compared to the illiterates (17%), and among students (51%) compared to farmers and housewives (34% and 41% respectively). Two thirds do not agree with the PA decision to renew the license of the Palestinian Telecommunication Company (PALTEL) without a competitive bidding; only 24% agree with the PA decision. Disagreement with the PA decision is higher in the West Bank (73%) compared to the Gaza Strip (57%), among supporters of Hamas and third parties (70% and 68% respectively) compared to Fatah supporters (56%), among residents of villages and cities (70% and 68% respectively) compared to residents of refugee camps (59%), among men (71%) compared to women (63%), among the somewhat religious (71%) compared to the religious (63%), among those who are opposed to the peace process (78%) compared to supporters of the peace process (61%), and among non-refugees (69%) compared to the refugees (63%). 38% say that they personally, or one of their family members or friends, had experienced a case of medical error and 61% say they did not. While 36% believe that such medical errors occur equally in private and governmental hospitals, 22% indicate that they go to private hospitals because they think errors are less likely in them and 23% indicate that despite the danger of medical errors they still go to governmental hospitals because of the cheaper costs. Optimism about the success of reconciliation and the end of the split stands today at 27% and pessimism at 67%. Three months ago optimism stood at 35% and pessimism at 61%. 26% say they are satisfied and 63% say they are dissatisfied with the performance of the reconciliation government. In the Gaza Strip, dissatisfaction stands at 74% and in the West Bank at 56%. Belief that Hamas was responsible for hindering the functioning of the reconciliation government does not exceed 18% (9% in the West Bank and 33% in the Gaza Strip) while 34% believe that the PA and president Abbas were to blame for that and 14% blame the prime minister of the reconciliation government. We asked the public about the most effective means of responding to the recent Israeli settlement plans: 25% think it is the suspension of security coordination with Israel; 22% think it is the submission of a formal complaint to the International Criminal Court; 19% think it is the resumption of armed attacks; 19% think it is a strong international condemnation of Israel, and 14% think it is the organization of popular non-violent protests. An overwhelming majority of 77% are dissatisfied, and only 18% are satisfied, with Abbas’ response to the recent Israeli announcement of plans for 6,000 new settlement units. In fact, a large majority of 72% believes that President Abbas is not serious in his threat to suspend security coordination with Israel if settlement construction continues; only 21% believe he is serious. The belief that President Abbas is serious is higher in the Gaza Strip (24%) compared to the West Bank (19%), in refugee camps and cities (23% and 22% respectively) compared to villages and towns (17%), among supporters of the peace process (29%) compared to those who are opposed to the peace process (8%), among the illiterates (30%) compared to holders of BA degree (17%), and among Fatah supporters (45%) compared to supporters of Hamas and third parties (6% and 21% respectively). On the two-state solution, the public is divided: 47% support and 51% oppose it. Three months ago, 44% supported it. Palestinians are divided into three groups on the most effective means of building a Palestinian state next to the state of Israel: 34% believe that negotiation is the most effective; 37% think armed action is the most effective; and 24% think non-violent popular resistance is the most effective. Three months ago, 37% said armed action is the most effective means. A majority of 60% believes that the two-state solution is no longer viable due to settlement expansion while 37% believe that it is still viable. A minority of 32% supports a one-state solution in which Jews and Arabs enjoy equal rights; 67% oppose the one-state solution. Three months ago, support for the one-state solution stood at 36%. 70% believe that the chances for creating an independent Palestinian state alongside the state of Israel during the next five years are slim or non-existent while 29% believe the chances are medium or high. The percentage of those who are worried that they would be hurt by Israel or that their land would be confiscated or homes demolished stands at 71%; 29% are not worried. Furthermore, a majority of 52% believes that Israel’s long term aspiration is to annex the lands occupied in 1967 and expel their population and 32% believe that Israel wants to annex the West Bank while denying the Palestinians their rights. 14% believe that Israel’s long term aspiration is to insure its security and withdraw from all or most of the territories occupied in 1967. 50% believe that Israel intends to destroy al-Aqsa Mosque and the Dome of the Rock and replace them with a Jewish temple; 17% believe that it intends to divide the plateau on which the two mosques sit so that Jews would have a synagogue alongside the Muslim holy places. Only 10% believe that Israel is interested in maintaining the status quo without change. In the absence of peace negotiations, 77% support joining more international organizations, 67% support non-violent popular resistance, 51% support a return to an armed intifada, and 49% support the dissolution of the Palestinian Authority. Three months ago, support for a return to an armed intifada stood at 53%. Few months after the holding of the Paris peace conference, two thirds (67%) of the public believe that it did not contribute to improving the chances for Palestinian-Israeli peace; only 21% believe it did. With Trump in the White House, 38% believe that the new American administration will aggravate Palestinian-Israeli tensions leading to escalation in popular and violent confrontations due to the expected settlement build-up; 33% believe conditions will remain as they are now; 11% believe the new administration will provoke diplomatic confrontation; only 9% believe it will lead to a renewal of the peace process. If the Trump Administration called upon the two side to resume negotiations without any preconditions, a majority of 58% believe that the Palestinian leadership should reject the call; only 31% believe it should accept it. 76% say the Arab World is too preoccupied with its own concerns, internal conflicts, and the conflict with Iran and that Palestine is no longer the Arab’s principal or primary issue or cause. Only 23% think Palestine remains the Arab’s principal cause. 59% believe that there is an Arab Sunni alliance with Israel against Iran despite the continued Israeli occupation of Arab land while 29% believe that the Arabs would not ally themselves with Israel until it ends its occupation and allows the creation of a Palestinian state. An overwhelming majority of 92% believes that ISIS is a radical group that does not represent true Islam and 4% believe it does represent true Islam. 4% are not sure or do not know. In the Gaza Strip, 5% (compared to 4% in the West Bank) say ISIS represents true Islam. 80% support and 16% oppose the war waged by Arab and Western countries against ISIS. 43% believe that the first most vital Palestinian goal should be to end Israeli occupation in the areas occupied in 1967 and build a Palestinian state in the West Bank and the Gaza Strip with East Jerusalem as its capital. By contrast, 34% believe the first most vital goal should be to obtain the right of return of refugees to their 1948 towns and villages, 12% believe that it should be to build a pious or moral individual and a religious society, one that applies all Islamic teachings, and 10% believe that the first and most vital goal should be to establish a democratic political system that respects freedoms and rights of Palestinians. The most serious problem confronting Palestinian society today is poverty and unemployment in the eyes of 27% of the pubic; an identical percentage believes it is the continuation of occupation and settlement activities; 24% say it is the spread of corruption in public institutions; 17% say it is the siege of the Gaza Strip and the closure of its crossings; and 4% say it is the absence of national unity.